A new exhibit coming to the Field Museum this spring will take visitors behind the lens of some of the world’s best wildlife photographers. From two walruses poking their heads above icy Norwegian waters to the pink-orange glow of a simmering Russian volcano to a pair of African wild dogs playing with their breakfast leftovers – the head of a chacma baboon – the exhibit will showcase images that celebrate fascinating animal behavior and the breathtaking diversity of the natural world, according to the Field. 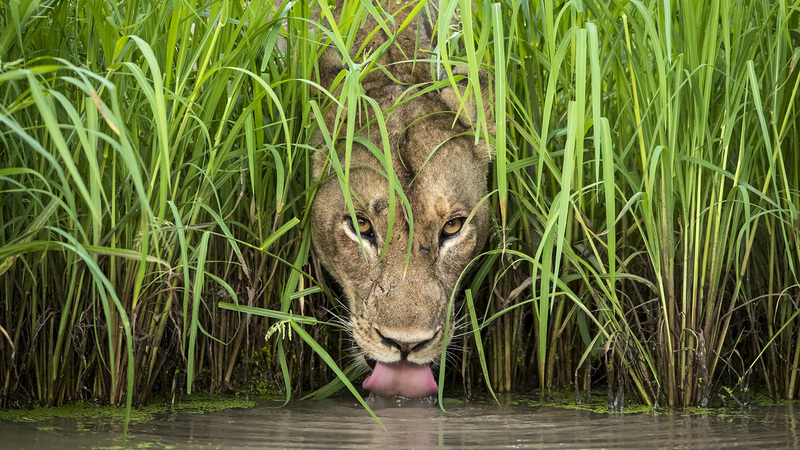 Opening March 22, the exhibit, “Wildlife Photographer of the Year,” is based on the prestigious photography competition of the same name that dates to 1965. On display will be the 100 most recent winning photos from the competition, selected from 45,000 submissions from 95 countries. The exhibit is developed and produced by the London Natural History Museum. A description of each image will allow visitors to learn how the photographer captured the shot. For example, French photographer Emmanuel Rondeau set up eight triggered cameras in a national park in Bhutan in order to capture a tiger running directly at his lens. The exhibit, which is presented in both English and Spanish, will run through January 2020. Admission will be included with either a Discovery or All-access Pass from the Field.